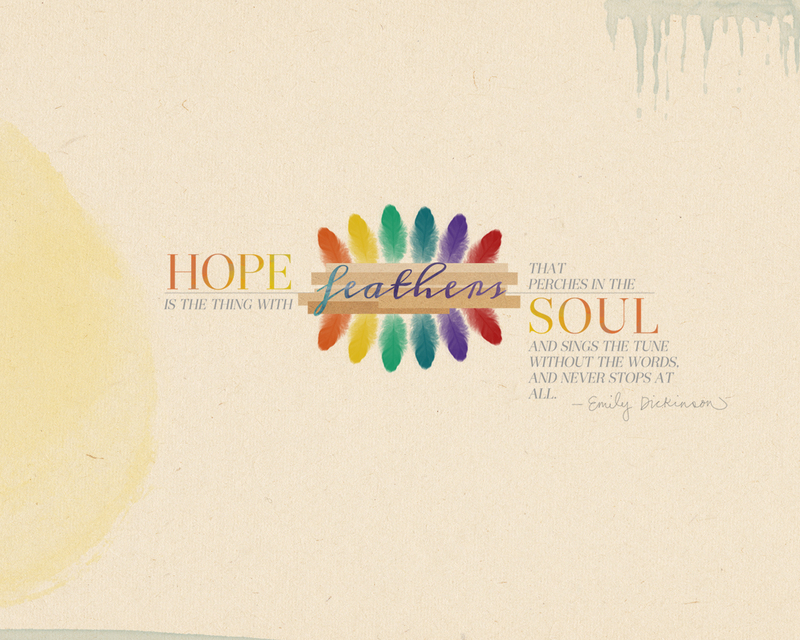 For my "feather-inspired" post, I thought I would design a desktop background, using one of my favourites poems by Emily Dickinson. I love that her wording is simple, yet intense - and so beautiful. 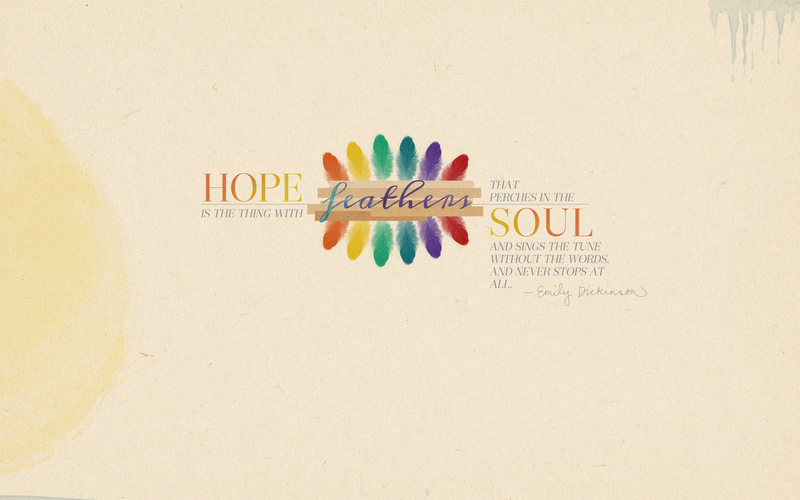 Hope is in all of us, and so often it takes us through many, many storms without breaking.